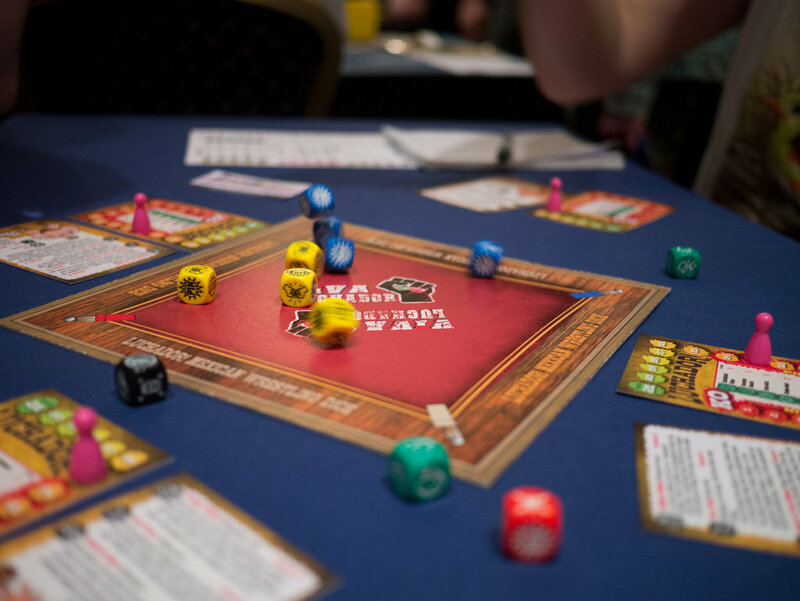 Luchador Mexican Wrestling Dice is a game by Mark Rivera who write the Boardgames in Blighty blog. I was fortunate to get to try out Luchador a few months ago. The game can be played one-on-one or played as a 2-v-2 tag team. Both wrestlers roll their dice simultaneously and compare. Some results reduce their opponent’s energy, some block incoming blows, some counter (reverse incoming blows), and some results are attempts to pin the opponent. 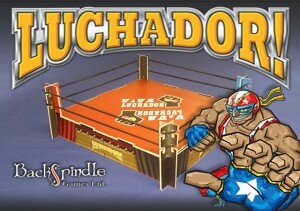 If a player does enough hits they can choose to roll the Luchador dice and perform one of their signature moves (unique to each wrestler) for a more impressive and damaging result; however, using the Luchador dice is a risk and could go wrong.